just when we think we could not possibly be MORE delighted by our fellow ♥JINGLE BELLES♥ talent, cleverness, and beautiful workmanship... (or work womanship?!) along comes another set of unbelievably cool holiday cards to blow us away! laurie is quite *BRILLIANTLY* making her christmas photo cards in advance by creating beautiful designs that leave space for a family picture to be added later! deborah earns kudos for that gorgoues texty background & her clean and classy design; with bonus points for fabulousness in the "tall card" format! jaqi may have envisioned an "easy peasy" card... but it's the extra little touches (like those amazing gold-edged leaves!) which elevate this one to the next level! having singled out these lovely ladies, we really MUST emphasize how wonderful ALL of the "holly and the ivy" cards were, and if you haven't seen them yet, please do scroll down! truly, there was not a single one that didn't dazzle us...we just wish we could see the reactions of the lucky recipients in december! thank you, JINGLE BELLES for yet another stellar week! we'll be back at midnight with a fun change-of-pace for you! ...has anyone seen the calendar...??!?! 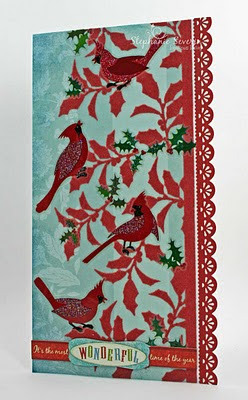 Stef says "I started with some fantastic velvet holly paper from SEI's Winter Song Collection and then added some red Cardinal & green holly stickers to fill in the branches. I finished with an adhesive border sticker along the side & chipboard sentiment along the bottom." 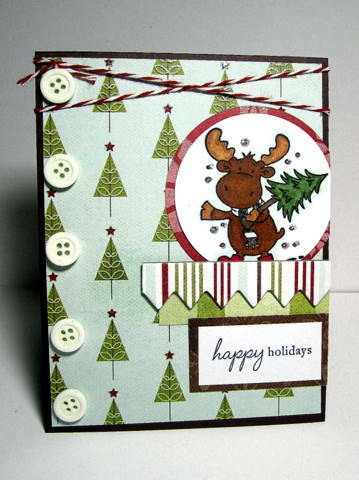 lauren says, "being a big fan of festive greens myself, i've covered all the bases: my card has holly--in the form of vintage fussy-cut illustrations, stickers, and printed cardstock frames; mulberry paper ivy leaves; poinsettias of the home-made AND store-bought variety; plus a mistletoe-bedecked tag! something else of which i'm quite enamoured are the pixie sketches miss kirsty draws for us each month...and i think this one is particularly FAB!" and now it's time to see what you will do: grab your stamps, your patterned paper, your embellies...or heck... even some silk or paper florals!... but let's see your best holiday foliage cards! the keyword for uploading at SCS or flickr is JB13; inlinkz closes at 6pm (EST) on wednesday, march 30th. Not only were we thrilled to welcome so many lovely sketch cards this week on the ♥JINGLE BELLES♥ blog, I think those of us in the northern hemisphere are pretty happy to see the calendar reading "SPRING" even if the weather has not entirely caught up yet?! Speaking of HAPPY...here are some amazing cards which made us feel particularly pleased and proud! We love how the different white sentiments pop against the vibrant background colors ... and how fun is that row of postage stamps? We adore the sentiment in the circle, that oh-so-fun rainbow strip, and the funky fab line of chunky cross-stitches on the lefthand side! What an awesome combination of elements ... (we love that crown and the fun lacy trim!) ... not to mention the fabulously non-traditional color scheme! A big giant THANK YOU goes out to every single one of you who played along--we love to see your cards and read your posts each week! 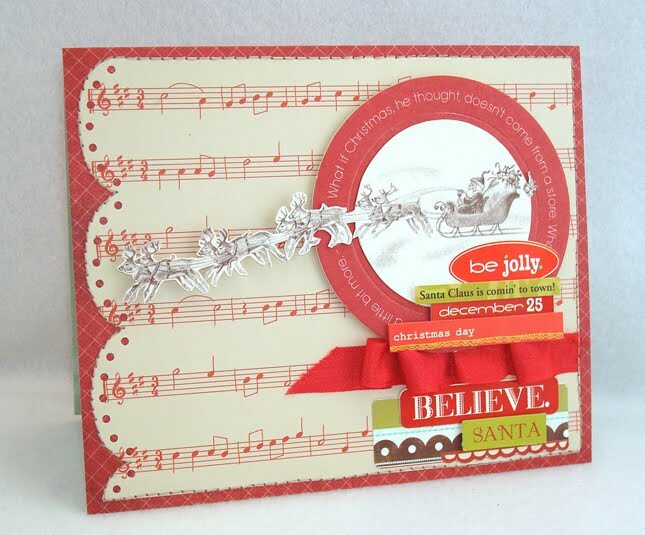 Extra special thanks to ALLISON FILLO of STAMPIN' WHEN I CAN for being our lovely guest star this week and providing us with that wonderfully inspiring sketch! We hope everyone will check out SHARE THE MOJO as well--is that a brilliant idea or what??! 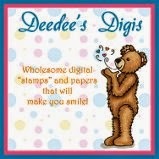 Remember you can also see her gorgeous work at InStyle Stamps AND Scrapbooker's Paradise! miss kathe, please send your snail mail address to us via jinglebellesrock @ hotmail [dot] com and we'll send your prize out ASAP! 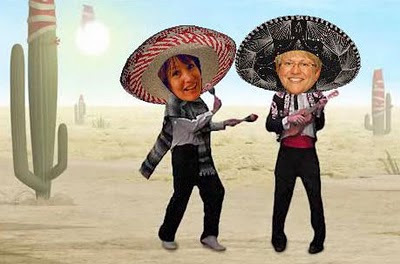 This week I've invited another fantastic guest star, and a blogger I'm thrilled to call my friend, to join us at Jingle Belles ... the wonderfully talented Allison Fillo. Allison currently designs for InStyle Stamps, Scrapbooker's Paradise (Playing in Paradise Challenges) and Amber Ink. 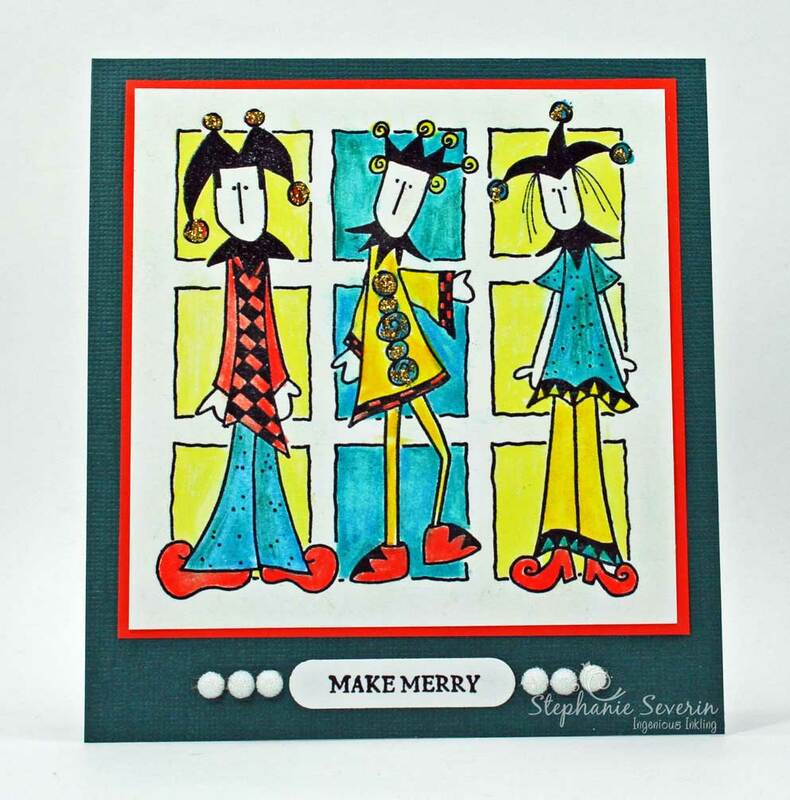 If you're looking for sketch ideas, the first place to check is her blog Stampin' When I Can, where she has a post each day of the various sketch challenges around the web. She also does shout-outs for newly discovered blogs each week. And if you're running short on Mojo, or discover a card or layout that particularly inspires you, make sure you stop by Share the MOJO, where Allison provides a fabulous forum for inspiration. When she's not hiding in her craft room, she works as a technical writer at home, chases after her three wild jackals (AKA children - Tristan, Charlotte and Avery ~ the WJs) and keeps connected with most everyone through the wonder of the Internet. So yes, she is in her PJs most of the time ... lucky. Allison's sketch is perfect for tissue tape, paper scraps, ribbon, lace, and all sort of fun embellishments. 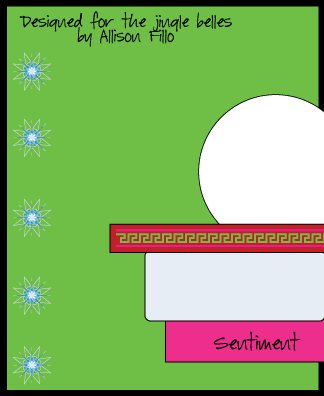 Allison says, "Working with My Mind's Eye 'I Believe', I followed the elements of the sketch pretty straightforwardly (since I always draw the sketch and then make the card...pretty nutty, no?). I used a Riley from my IRAK stash, colored it with Copics and then added some DP and chipboard pieces from the same line to complement the sketch. 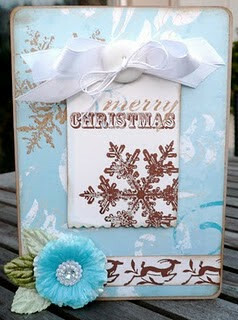 I then glitter glued the snowflakes on the image, added buttons and twine and called it a day! Easy!" 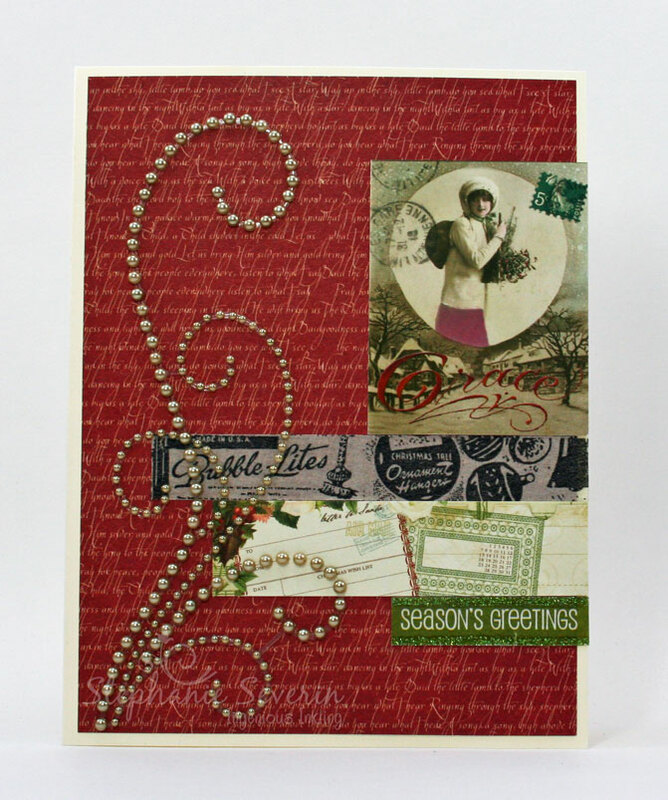 Stef says, "I started with another Crafty Secrets vintage image that incorporated the circular element in the sketch. Next I added Tim Holtz Tissue tape, a scrap of Webster's Pages paper, and a glitter sentiment sticker I've had longer than I care to confess. 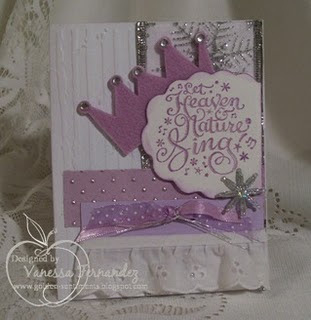 For the left-side elements of the sketch, I added my favorite embellishment ... a Zva Creative flourish." Lauren says, "my only problem with allison's fabulous sketch was that it was almost TOO inspiring...at first, i was overwhelmed by ideas! but when i found this gorgeous vintage illustration with santa's sleigh against a full moon, i knew it'd be the perfect centerpiece of my card. i had to adjust the proportions of the sketch a bit to accomodate the reindeer...but i think it works!" And now it's time to see what ♥YOU♥ will do with Allison's great sketch design: go through those scraps ... use some stickers you've had in your stash for years ... or break out something brand new! Use keyword JB12 if uploading to SCS or flickr... and link up your holiday masterpiece by 6pm (EST) next Wednesday, March 23rd! Hope you have fun "getting sketchy" with us this week! 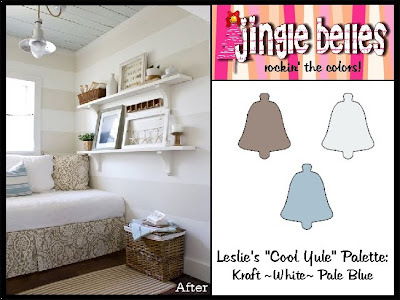 ok, HOW MUCH did we all looooooove leslie's gorgeous ♥JINGLE BELLES♥ color palette this week??! quite a lot, judging by the AMAZING cards that came in! everyone stop right now and give yourself a massive round of applause from us, ok?! THANKS! 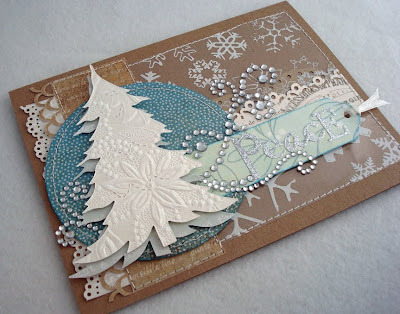 leslie says, "I love everything about this card: the tan leaves (and all that cutting! ), the big white bow, the blue bling, and the minimalist sentiment. Just love it!!!" 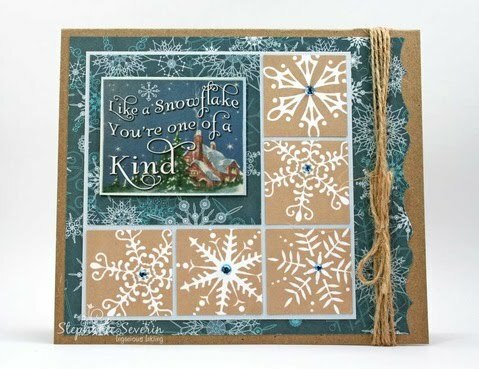 leslie says, "There's so much to like about this card: the oval frame with the snowflakes tucked into it, the pretty snowflake paper, the extra snowflakes, the cutie-patootie image, and don't think I didn't see the two rows of embossed borders behind it all! Who wouldn't love to get this card?!" leslie says, "The paper for this card is perfection. Then she added the sentiment layer, the bow, the flower, the tape. Everything just works so well together. Stunning!" since the brand NEW prompt... with a brand new "guest star"...doesn't go live until midnight, you've got plenty of time to scroll down to the thumbnails in the last post and spend a bit of time seeing your fellow ♥JINGLE BELLES'♥ cards! ENJOY! Leslie says, "I am a non-traditionalist, sometimes referred to as a rebel. 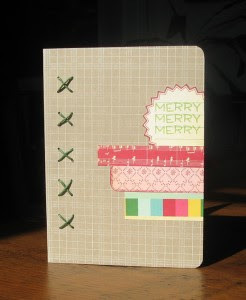 I like to break the rules, and one of my favorite things to do is make cards for a holiday in non-traditional colors. 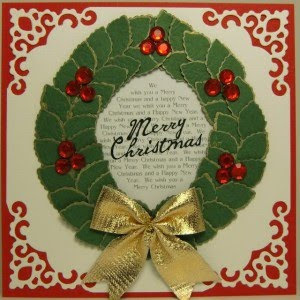 One of the things about Christmas colors is that I find any red & green combination makes me think "Christmas", even if it's July! So when I saw this photo of a room makeover on The Lettered Cottage, I just knew these were my colors. And now they are yours! Have fun!" Stef says, "The inspiration for my card started with the pattern in the fabric on the duvet skirt & the starfish, which inspired my krafty snowflakes ... the blocked shape was inspired by the square cubby-hole shelf on the wall (and this week's Sweet Sunday Sketch) ... I finished with a few wraps of packing twine, to bring in the texture of the basket." Lauren says, "i was inspired by the mimalist style of the inspiration photo as well as the colors, so i decided to assay a sort of 'deconstructed landscape' winter scene; unfortunately i'm NOT a minimalist--i'm actually more of a maximalist--so my 'clean lines' disappeared a bit under multiple patterns, punched edge-treatments, and bling! ah well...it's not where i set out to go, but i like where i ended up!" and now it's time to see what ♥YOU♥ will do: concentrate on the COOL or the YULE... think bare bones minimalist or load up the bling... but grab your kraft and white and blue and get crackin'! use keyword JB11 if uploading to SCS or flickr... and link up your holiday masterpiece by 6pm (EST) next wednesday, march 16th! Up until now, we thought there was nothing we could enjoy more than seeing the lovely cards made by our fellow ♥JINGLE BELLES♥, but this week we discovered that hearing the funny, nostalgic, touching and wonderful Christmas memories which inspired them is equally cool! Many thanks to all of you who shared a story along with your beautiful artwork, and also to Rose who suggested this prompt which helped us all to reminisce! 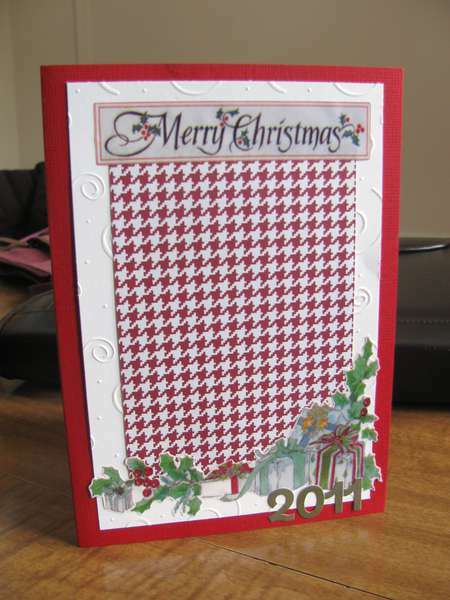 Here are a few cards that our lovely guest star thought captured the spirit of Home for the Holidays particularly well! by Rosemary of "Free Advice, Worth Every Penny"
Rose says, "One word.............GASP!!! 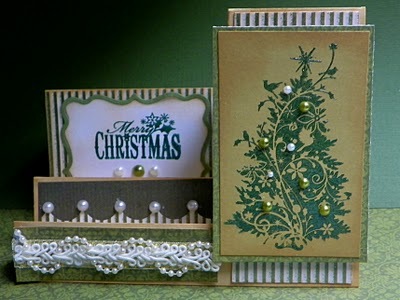 I love the sidestep card with all the lace and pearls, and that tree is STUNNING!! by Lisa J of "Stamping, Crafting & Snow, Oh My!" 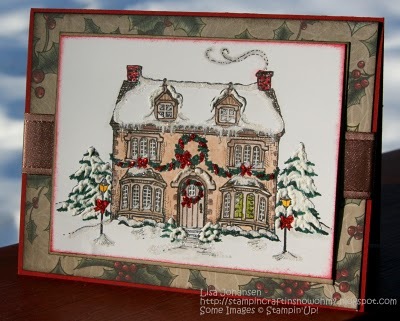 Rose says, "Her memories are so touching and her card makes me wish i could open the front door and step into that beautiful house!" 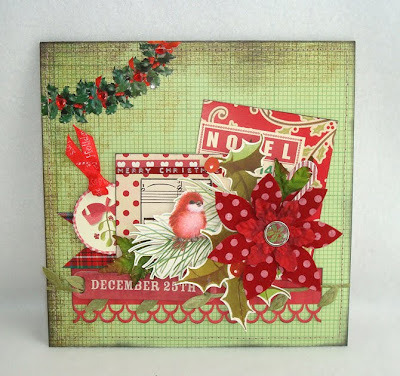 by June Houck of "Simply Elegant Paper Crafts"
Once again we thank *EVERYONE* who played along, and extend our extra-special and extra-hearty thanks to ♥ROSE♥ for going above and beyond the call of duty in the course of being our very lovely guest star this week! 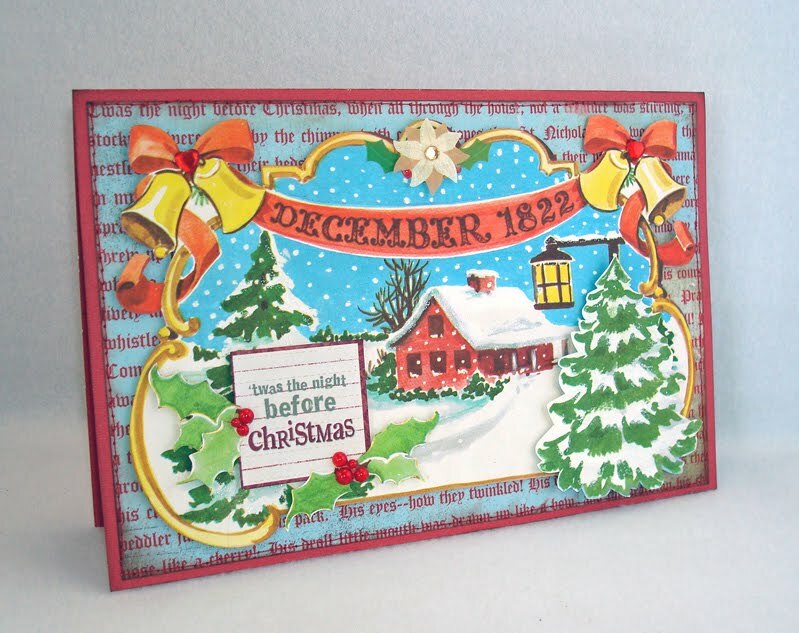 Be sure to stop over at ROSE'S HAPPY PLACE and see more of her amazing and inspiring cards...of both the Christmas and non-holiday variety; plus there's great stuff happening at 365 Cards and Simply Create that she'd love to tell you about! Now's the time we usually suggest that you go and see the gorgeous work from last week--and of course we hope you will do that!--but we'd also like to extend a special invitation to anyone who's been following along but hasn't made a card yet: it's definitely NOT too late to start...there's no pressure to play EVERY week...and we are really, truly, having a fabulous time doing this without the seasonal pressure! More is definitely ♥MERRIER♥ and we'd love to share the joy with you! There's a brand new prompt--suggested by one of your fellow ♥JINGLE BELLES♥--debuting at Midnight...why not come back then and join us?! This week we welcome another talented guest star to Jingle Belles ... Rose from Rose's Happy Place. In addition to being a Jingle Belles regular, Rose is also a member of the Design Teams for both 365 Cards & Simply Create ... and on an awesome side note, the first year of the 365 Cards Challenge Blog (when Rose wasn't on the DT), she did the challenge EVERY SINGLE DAY and had 365 cards at the end of the year! How awesome is that?! For the holidays, you can’t beat home, sweet home. Pennsylvania, and some home made pumpkin pie. Gee, the traffic is terrific. So this week, we're asking you to make a card that is inspired by your Home for the Holidays ... it might be your childhood home, your current home, or your home-away-from-home. Rose says, "For some strange reason I keep having Christmas songs on the brain. lol So the other day when "Home for the Holidays" popped in, I started thinking of my "home" and how much I miss it. I lived in the southern Nevada desert for 40 years and grew up spending all day playing out in the desert, hunting horny toads, lizards, and admiring all the variety of plants and rocks. I sure miss all the beauty of the desert and the smell after the rain is heavenly. 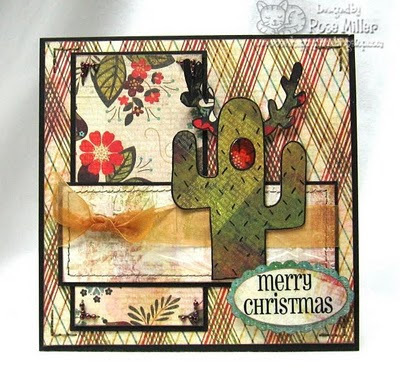 So for my card it is only fitting to have a desert cactus that reminds me of home." Stef says, "When I thought about my favorite holiday memories from home, the first thing that came to mind was all of the laughter. Our family prides itself in jokes and funny stories, with everyone trying to outdo the next person. Each holiday there is always some running joke that takes on a life of its own. 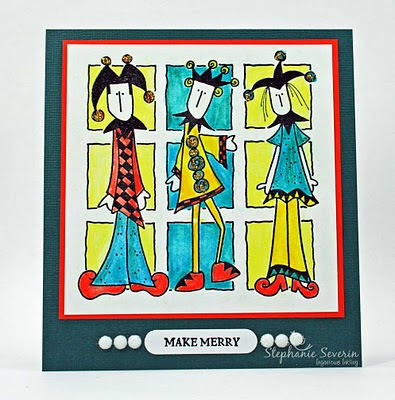 So I know it's a bit wacky (but hey, my family is a bit wacky), but this Trio of Jokers by Magenta reminds me of home ... where making merry is always the focus of the holidays." Lauren says, "one of my very favorite holiday memories from childhood is of my dad reading clement c. moore's, 'the night before christmas' to us every christmas eve. i am always on the lookout for vintage copies of that poem; the nice ones i collect as books, the damaged ones i use in cards and collages. this illustration was the frontispiece from a very beautiful and sadly completely ruined edition. i'd been saving it for just the right thing, and finally, thanks to rose i found it!" And after Rose's fabulous desert-themed card, I couldn't resist pulling out this hilarious photo of Lauren & I with our Christmas cactus. So have fun reminiscing about home...and turn those memories into a great holiday card! Link up here by 6pm (EST) on Wednesday, February 9th. Codeword for SCS or flickr is JB10. We can't wait to see what you will do! *We are always on the lookout for great themes for our weekly prompts, and thrilled to have lovely guest stars! 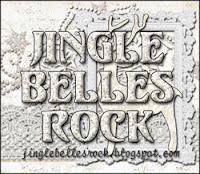 If you'd like to join in, email us at jinglebellesrock @ hotmail [dot] com. If we use your idea, we'll invite you along to help us host that week. It's definitely a lot of fun, so what are you waiting for?! Another week has hurtled past in record speed here on the ♥JINGLE BELLES♥ blog! A week full of cards so wonderful and so extraordinary that we just cannot wait to show you a few crafty masterpieces that interpreted the TEXT ME prompt in especially clever and unique ways! 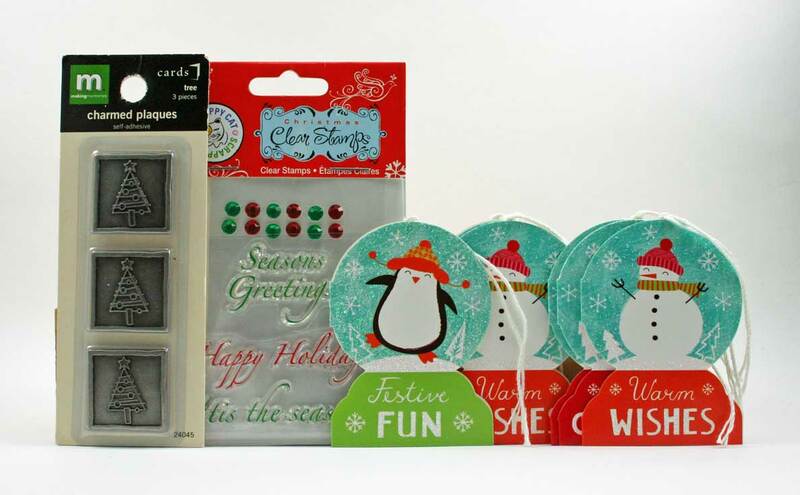 quite literally makes the holiday season bright with a citrussy color palette, one texty stamp, and cleverly layered punched shapes! 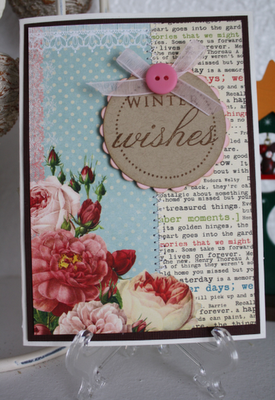 combined pretty text paper, romantic roses, and just a few embellishments to assemble this holiday confection! she took a photograph of a gardening book page to use as the background for her card ... how clever is that! ... and I'm only a tiny bit jealous that she is already seeing hints of daffodils in her garden. 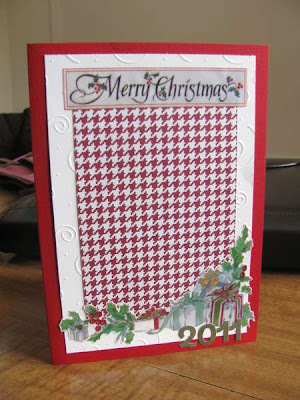 As usual, we send our congratulations and thanks to every single papercrafter who played along this week; the thumbnail gallery below is FULL of clever texty ideas made into unique and lovely holiday greetings! This is when we usually encourage you to "check it out"...but really...we know from the comments that a lot of you have already surfed around to see *ALL* the cards, leaving encouragement and kind words in your wake. When we thought up this whole zany ♥JINGLE BELLES♥ idea, we envisioned it becoming a real community in which exactly that sort of camaraderie and friendship would emerge, but we never dreamt that just two months into the year you would have made this so much more wonderful and more fun and than we could have ever imagined! ps: the fabulous brand new prompt--which was devised by and guest stars one of your lovely fellow BELLES--goes live at midnight!